The original trilogy of Crash Bandicoot is released outside the consoles of Sony thanks to Crash Bandicoot N. Sane Trilogy and we have had the opportunity to play in depth to this compilation on Xbox One and see how it has made the face wash to the marsupial on this occasion (remember that the title reached PS4 in June 2017). In this analysis of Crash Bandicoot N. Sane Trology for Xbox One we will review the improvements that the different deliveries of the compilation have with respect to the original games and we will speak to you about the differences between this version and that of PS4 so you know if it changes a lot the experience between one console or another. Let’s go there! As we could already see in the PS4 version, Crash Bandicoot N. Sane Trilogy is much more than a remastering. Vicarious Visions has done a great job in adapting the first three Crash Bandicoot games to the current times. And, the company has not been limited to retouching the resolution simply as in other remasters , but has created all the elements of the game from scratch, adding polygons, textures, effects, etc, but respecting the structure of the original titles. 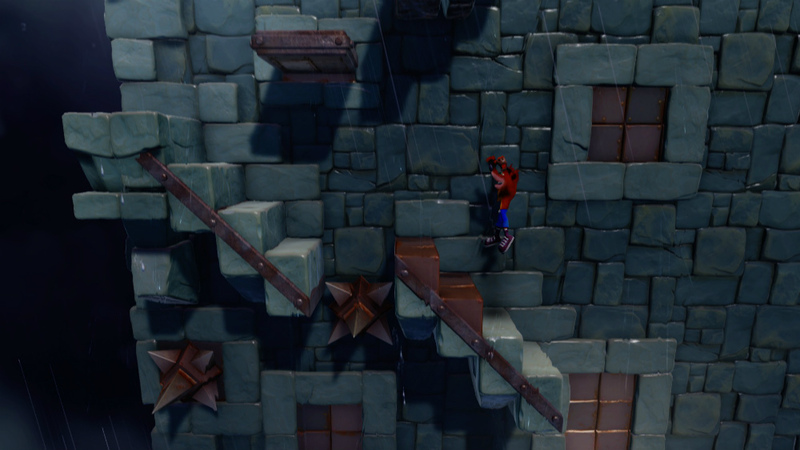 It is precisely for this last point that the controls, especially in the first Crash Bandicoot , can be somewhat clumsy at times and that the cameras play more than one dirty trick by preventing them from seeing enemies hidden behind certain obstacles and corners or holes in the ground in certain phases. Still, Crash Bandicoot N. Sane Trilogy manages to capture all the magic of the three original games and gives them a fresh air that feels great. All the fun, colors and madness of the original games is present in the compilation created by Vicarious Visions, and that is appreciated. 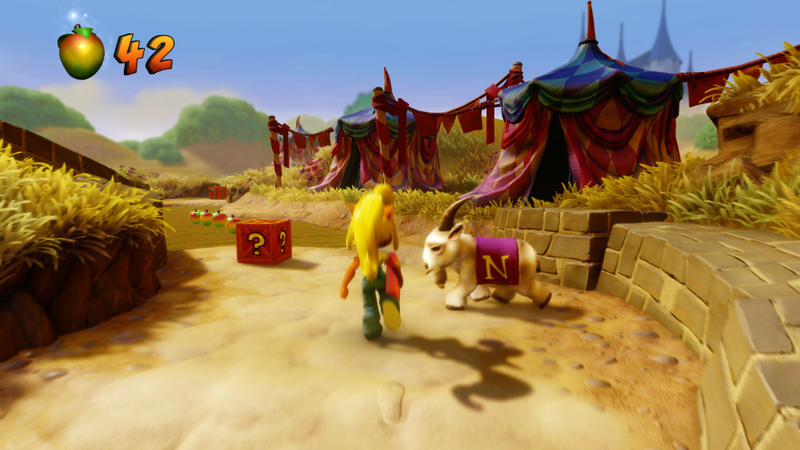 In addition, some new features have been included, such as being able to play with Coco , the sister of Crash, in almost all phases, including those of the first two installments of the franchise. But what really makes Crash Bandicoot N. Sane Trilogy different on Xbox One? First of all, we must clarify that the version of Crash Bandicoot N. Shane Trilogy of Xbox One is practically the same as that of PS4. The differences are minimal and reside mainly in the launch contents. When arriving with a year of delay with respect to the version for the console of Sony, Crash Bandicoot N. Shane Trilogy for Xbox One has all the downloadable contents of series. Therefore, just start the game we see that we can directly access the two additional levels that Vicarious Visions has released for the title without downloading them as in PlayStation 4 (where you can get free). On the one hand, entering the first Crash Bandicoot we can access Stormy Ascent , a level that was originally designed by Naughty Dog, developer of the original trilogy, but that was finally discarded. On the other, in Crash Bandicoot 3 Warped we can play Future Tense , a completely new level created for this compilation. Otherwise, the game is the same as in PS4, although not so in the Nintendo Switch. As we have been saying throughout the analysis , Crash Bandicoot N. Sane Trilogy is practically the same game we could enjoy on PS4. But if you are users of Xbox One Xyou can delight with the visual improvements that Vicaruis Visions has achieved in this machine. Crash Bandicoot N. Sane Tiroly works at 4K resolution on Xbox One X and uses HDR colors , so the Microsoft console is the ideal platform (in addition to the PC) to play the title. In short, Vicarious Visions already left us amazed with their good work with Crash Bandicoot N. Sane Trilogy on PS4 and their work when it comes to adapting the title to Xbox One is not far behind. Whether you already played the first three installments of Crash Bandicoot on the first PlayStation or not, Crash Bandicoot N. Sane Trilogy deserves a chance. Three great classic platforms that look better than ever. Crash Bandicoot N. Sane Trilogy we already liked on PS4 and the Xbox One version, although it has been expected, does not disappoint. Three authentic remastered jewels that will delight all fans of the platforms, whether they have played the originals or not. The visual face wash, (the same as in PS4) and its more than attractive price. The control system remains the original and the camera plays tricks, which can sometimes despair.